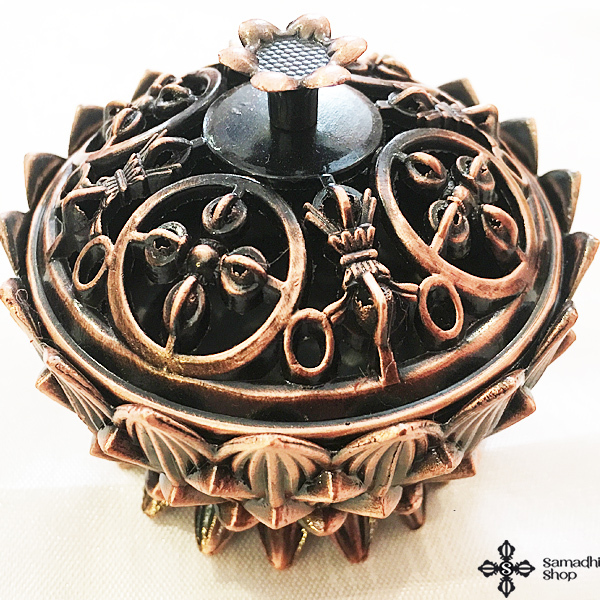 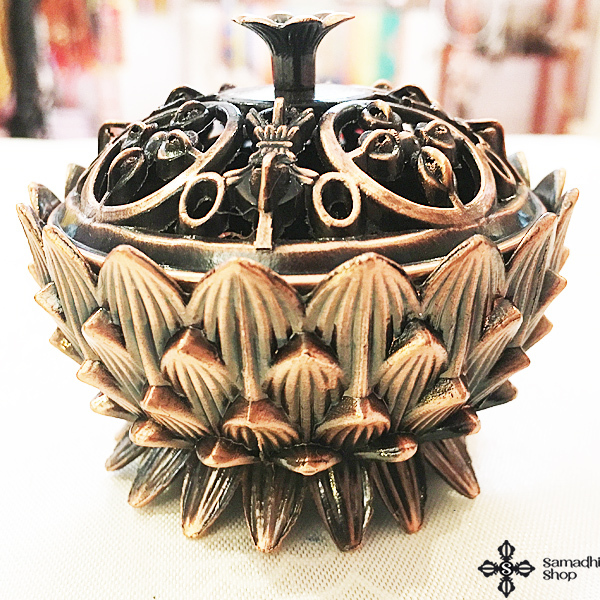 Lotus shaped bronze cone incense burner. Diameter: approx. 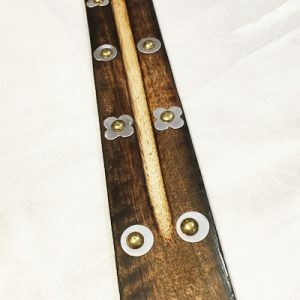 7 cm / 2.8 inches.